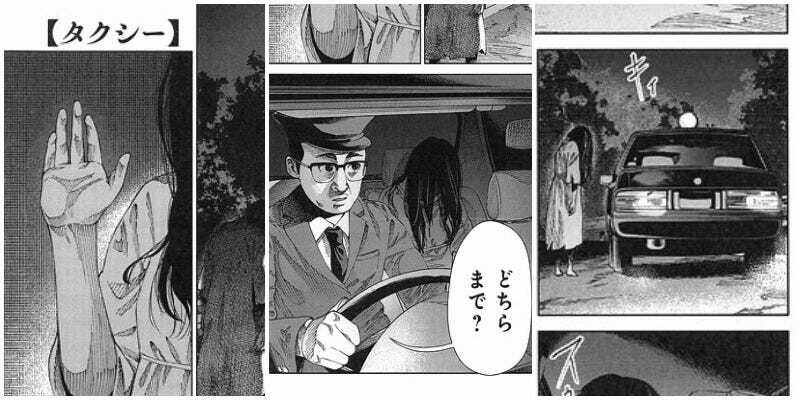 One of the most common horror tropes in Japanese horror involve taxis, with stories of scary passengers or terrifying drivers. Comic magazine Bunch tweeted out several pages from a manga called Yokai Hayashi, with the word “hayashi” (囃子) meaning a traditional type of Japanese orchestra. Here are all four pages in the original Japanese. Below are same pages with English annotations. Be sure to click through them in order! On Twitter, people are praising the clever comic timing and structure, saying how it’s a novel and fresh take.